Elliott, Sam Davis. Isham G. Harris of Tennessee: Confederate Governor and United States Senator. Baton Rouge: Louisiana State University Press, 2010. Horn, Stanley F. Isham G. Harris in the Pre-War Years. Tennessee Historical Quarterly 19 (September 1960): 195-207. McKellar, Kenneth. 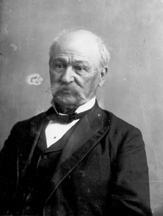 Isham Green Harris," in Tennessee Senators as seen by one of their Successors. Kingsport, Tenn.: Southern Publishers, Inc., 1942, 386-404. U.S. Congress. Memorial Addresses on the Life and Character of Isham G. Harris (Late a Senator from Tennessee). 55th Cong., 2d sess., 1897-1898. Washington: Government Printing Office, 1898. Watters, George Wayne. Isham Green Harris, Civil War Governor and Senator from Tennessee, 1818-1897. Ph.D. dissertation, Florida State University, 1977.